With our state of the art manufacturing facility in CA we can offer quick turnaround time throughout the continental United States. Ask about our Bull Rush program for expediting your order. It is not necessary in a transformer for the primary and secondary to be separate and distinct windings. Figure A is a schematic diagram of what is known as an AUTOTRANSFORMER. 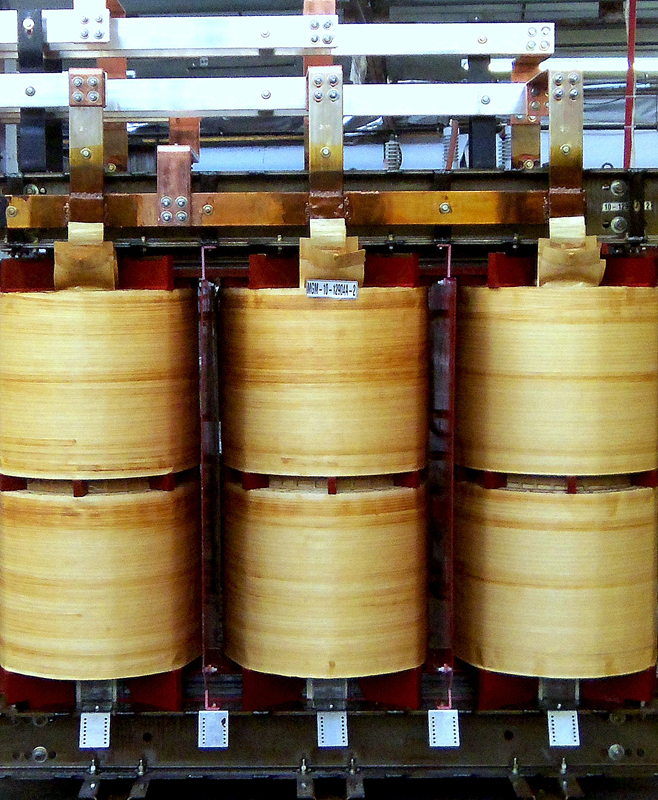 Note that a single coil of wire is “tapped” to produce what is electrically a primary and secondary winding. The voltage across the secondary winding has the same relationship to the voltage across the primary that it would have if they were two distinct windings. The movable tap in the secondary is used to select a value of output voltage, either higher or lower than E p, within the range of the transformer. That is, when the tap is at point A, Es is less than Ep; when the tap is at point B, Es is greater than E p.
Open core and coil assemblies are typically used by panel builders and equipment OEM customers who incorporate the entire transformer into their enclosures. Energy Efficient transformers are designed with lower than normal conductor and total losses. Temperature rise is therefore lower resulting in greatly improved life expectancies and substantial increases in overload capabilities. Transformers with winding temperature rise of 80°C and 115°C rise can help cut operating expenses for systems requiring unit loading at 80 to 100%; of the nameplate rating, 24 hours a day, or where load growth is expected. A 115°C rise transformer can carry a continuous 15% overload, and the 80°C rise a 30%; overload, without exceeding the insulation rating or seriously reducing the life expectancy of the transformer. However, when operating in an overload condition, the internal temperature increases as a result of the higher conductor losses. Efficiency decreases under this condition. Since transformers operate beyond nameplate capacities usually during peak load periods, the benefits remain. K Factor Rated Transformers include several major design improvements that address the problems caused by non-linear loads and harmonics. They are designed to withstand the effects of harmonic currents without exceeding the temperature rating of the insulation system. The K Factor design compensates for the stresses on a transformer’s winding insulation which prevents insulation breakdown and premature failure. The net result is longer transformer life. Core design – A high grade, non aging, grain-oriented silicon steel with high magnetic permeability provides reduced core induction levels, preventing saturation as a result of the higher frequency harmonics and resultant peak voltages. In a core approaching saturation, the current in the coil will increase as voltage drops because the core cannot absorb the additional magnetic flux. This core also provides reduced eddy currents or induced currents in the steel caused by the high ratios of peak-to-RMS currents and voltages found in harmonic loads. Neutral Bus – The neutral bus is sized and configured to accommodate at least 200% of the rated current. This compensates for the increased neutral currents found in non-linear loads thus reducing heat. Low sound transformers are designed to have average sound levels 3 dB below NEMA ST-20 standards. Depending on KVA rating and KV class, we may be able to reduce sound level up to 7 dB below NEMA. Note: Sound levels are measured in a sound room, not at the installation. These quieter transformers are ideal for noise sensitive installations such as schools, hospitals, libraries, and offices. Proper installation procedures should be used to achieve maximum benefit. MGM Transformer’s single-phase and three-phase marine-duty transformers have been developed utilizing over 80 years of commercial and military experience in magnetic transformer design. This ABS (American Bureau of Ships) Type Approved product line has been engineered to meet the unique requirements of marine applications including commercial and pleasure ships, offshore oil rigs, tankers, near shore and other harsh marine environments. All of MGM’s facilities are ISO9001 certified and have modern testing equipment to meet all the requirements of ABS, ANSI, CSA, NEMA and UL. Below are just a few of the enhanced design features of MGM marine duty transformers. Core Design – Cores are manufactured from the highest quality non-aging, cold rolled, grain oriented silicon steel laminations using stacked, step core construction and designed to minimize voltage harmonics. All cores are protected in a vacuum pressure impregnated resin. Steel Components – All steel parts (frames, base channels, brackets, rods, etc. ), are either coated or plated to meets UL50 salt spray requirements. All hardware (bolts, nuts, washers, etc. ), are fully protected in stainless steel or equivalent finish. Insulation – 220°C insulation systems are fully vacuum impregnated and protected. 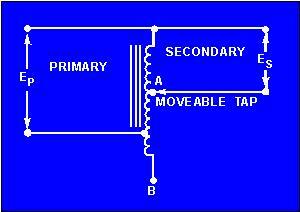 Electrical isolation between the incoming line and the drive circuitry. Voltage conversion of input line to standard drive input voltages. Minimized line disturbances caused by SCR (silicon controlled rectifiers) firing. Reduced short circuit currents and voltage line transients. Drive isolation transformers are specifically sized to the drive kVA requirements and are braced to withstand the mechanical stresses of current reversals and short circuits associated with SCR drives. Transmission line voltages may change to higher voltages due to global warming and urgent need to reduce the load losses while transmitting energy from point A to point B. These jobs typically take years to execute. MGM Transformer Company can make dual voltage transformers which can be used at say 12.47 kV for time being and later can be switched to 25 kV class. Dual voltage or reconnectable transformers are also available for emergency power requirements. If the frequency applied to a transformer is increased, the inductive reactance of the windings is increased, causing a greater ac voltage drop across the windings and a lesser voltage drop across the load. However, an increase in the frequency applied to a transformer should not damage it. But, if the frequency applied to the transformer is decreased, the reactance of the windings is decreased and the current through the transformer winding is increased. If the decrease in frequency is enough, the resulting increase in current will damage the transformer. For this reason a transformer may be used at frequencies above its normal operating frequency, but not below that frequency.